86, LADBROKE ROAD, LONDON, W. 11. Of the many languages of India, Urdu (Hindustani) is the most widely known, especially in Upper India. Both as a written and a spoken language it has a reputation throughout Asia for elegance and expressiveness. Until the time of Muhammad Shah, Indian poetry was written in Persian. But that monarch, who mounted the throne of Delhi in 1719, greatly desired to make Urdu the vogue, and under his patronage and approval, Hatim, one of his ministers, and Wali of the Deccan, wrote Diwans in Urdu. This patronage of poets was continued by his successors, and exists indeed to the present day; and the cultivation of Urdu poetry has always been encouraged at the many Courts of India. Some of the Indian Rulers are themselves poets, and find their duty and pleasure in rewarding with gifts and pensions the literary men whose works they admire. The Court of Hyderabad has for long had a circle of poets: the late Nizam was himself eminent as a writer of verse. The Maharaja-Gaekwar of Baroda is a generous patron of literary men, and the present Rulers of lesser States such as Patiala, Nabha, Tonk, and Rampur, are deeply interested in the cultivation of poetry in their Dominions. In the eighteenth and nineteenth centuries many towns in India had extensive and flourishing literary coteries, and it is from the poets Of that period that this handful of verses is gathered. The Mushaira—a poetical concourse, wherein rival poets meet to try their skill in a tournament of verse—is still an institution in India. Delhi, Agra, Lucknow, Lahore, Cawnpore, Allahabad, Benares, Calcutta, and Hyderabad, have all been, and some still are, nests of singing birds. Of the extent of Urdu literature some idea may be gained from the fact that a History of it written about 1870 gives the names of some three thousand authors, and that Tazkiras or anthologies containing selections from many poets are very numerous. The poetry is very varied and of great interest. It includes moral verses and counsels, sometimes in intermingled verse and prose; heroic poems telling the old tales of the loves of Khusru and Shirin, of Yusuf and Zuleika, of Majnun and Leila, and the romances of chivalry; elegies on the deaths of Hasan and Hussein, and of various monarchs; devotional poems in praise of Muhammad and the Imams; eulogies of the reigning Ruler or other patron or protector of the poor; satires upon men and institutions, sometimes upon Nature herself, specially upon such phenomena as heat, cold, inundations and pestilence; descriptive verse relating to the seasons and the months, the flowers and the trees. Above all there is a great wealth of love poetry, both secular and mystic, where, in impassioned ghazals or odes, the union of man with God is celebrated under various allegories, as the bee and the lotus, the nightingale and the rose, the moth and the flame. Most of the poets represented in this book write as Sufis, or Muslim mystics, and scoff at the unenlightened orthodox. For them God is in all and through all, to be worshipped equally in the Kaaba and in the Temple of the Idols, or too great to be adored adequately through the ritual of any creed. He is symbolized as the beautiful and cruel Beloved, difficult to find, withdrawn behind the veil, inspiring and demanding all worship and devotion. The Lover is the Madman, derided by the unsympathetic crowd, but happy in his ecstatic despair. He drinks the wine of love and is filled with a divine intoxication. For him this world is Maya—illusion, and the true life is that which is unmanifest. He finds no abiding place in this mortal caravan-serai, this shifting House of Mirrors; for his Soul is ever passing forward on the high Quest. Knowledge and skill are as dust, and self as nothing, compared with the Love that goads and urges him on. As a language, Urdu has a most composite ancestry, and comprises elements derived from the original languages of India, from Sanskrit, the tongue of the Aryan invaders, from Persian, from Turkish, from Kurdish and other Tartar tongues, from Arabic, even from Egyptian and Abyssinian; and later from such very foreign sources as Portuguese, Dutch, French, and English. The political phases through which India has successively passed have left their record in this hybrid character of the language. The process of its evolution really began long before the Christian era, when Sanskrit—the language of the Aryan conquerors—began to commingle with the languages of the peoples in Upper India, or Hindustan. From this union came the prakrits, or vernaculars. The one which at the time of the Buddha was current in Magadha—parts of the present British Behar and Orissa and the United Provinces of Agra and Oudh—was known as Magdhi, and the message delivered by the great Teacher was recorded in that vernacular. This spread rapidly with the growth of Buddhism, and became the court and official language of a large part of Upper India. The language which was developed in the north and north-west was called at first by the simple name Bhasha (Bhakha), which means the usual tongue, but later took the name of Hindi, and is written in the Sanskrit (Deva-nagari) character. At the beginning of the eighth century the Muslims appeared as conquerors in India. Mahmoud of Ghuzni, about 1,000 A.D., won great victories, and from that time Bhasha began to be modified in the towns. Four centuries later Tamerlane of the Mogul race entered India and took Delhi, laying the foundation of the Empire definitely established by Babar in the beginning of the sixteenth century. Hindi became saturated with Persian, itself already laden with many Arab words introduced through conquest and religion. The market of the army was established round Delhi, and bore the Tartar name of Urdu, which means horde or army, and thus, camp. It was especially at Delhi, after its rebuilding by Shah Jehan and its growth into the metropolis and literary and commercial and military centre, that the hybrid tongue took definite shape; it was named Zaban-i-urdu (literally, the language of the army) or simply Urdu, and was written in the Persian character. Even in its infancy it manifested a wealth of poetic inspiration derived from its varied ancestry. The poets from whose work the lyrics in this book have been selected were mostly writers of voluminous Diwans, and they occupied various and diverse stations in life. Some were Rulers, some soldiers, some darweshes (devotees), some men of letters only. The name given is in each case the takhallus (pen-name); each has some special significance, as Sauda, the folly of love, Momin, the believer, Zafar, the victorious; and frequently this name is introduced, by way of signature, into the closing stanza of a poem. ABRU: born at Lucknow, lived at Delhi, was a darwesh of the Order of Kalenders, and wrote an Urdu Diwan much appreciated for the ingenious allegories in which it abounds. AMIR: Amir Minai of Rampur, one of the best poets of the latest period: a great mystical poet: his Qasidahs for Muhammad are sung by devotees: Court poet of Rampur: travelled to Mecca and Medina, and, after the death of his patron, Nawab Kalbe Ali Khan, came to Hyderabad on hearing of the Nizam's fame and interest in poetry: rival of Dagh, by whose side he lies buried in Hyderabad. ARZU: a poet of Gwalior, where he held an important Government post in the days of Shah Alam II. (r. 1759-1806). He wrote his poems mostly in Persian, and was the author of a Dictionary of Mystical words. ASIF: pen-name of H.H. Mir Mahbub Ali Khan, Nizam of Hyderabad, who died in 1911: pupil of the poet Dagh (q.v.) and was an esteemed poet, and patron of poets. DAGH: a court poet of Rampur: went to Hyderabad and became the teacher of the Nizam in poetry (see Asif): lived there in great honour as Poet Laureate, and was given the title of Fasih-ul-Mulk (the eloquence of the nation): his poetry is described as natural and graceful in expression: his proficiency was so great that no poet could stand against him in the Mushaira: he was of extraordinary wit. FIGHAN: of Delhi: was the foster-brother of the Emperor Ahmad Shah (r. 1748-1754) and was one of the principal officers at the Imperial Court: famous for his piquant and witty conversation, and greatly skilled in jeux de mots, at which he spent his days and nights. GHALIB: came of a distinguished Turk family of Samarkand: wrote in Persian as well as in Urdu, and held the position of Poet Laureate at the Court of Bahadur Shah (r. 1837-1857) the last Mogul Emperor. HALI: a modern poet: pupil of Ghalib: recently dead: greatly admired, chiefly by the Muslims, for his poems calling for Muslim and Indian renascence. He received from the British Government the title of Shams-ul-ulema. HASAN: Mir Shulam Hasan, born at Delhi: passed his youth in Faizabad and then came to Lucknow to join the literary circle there: was as handsome in person as in mind, and his verse is still popular. HATIM: one of the early poets: born about 1700, he lived till near the end of the century: a soldier by profession, but in his old age renounced the world and became a darwesh: his cell was near the gate of the Imperial Palace, and many persons resorted to him for counsel. INSHA: born in Murshedabad, lived in Lucknow about the end of the 18th century: enjoyed the favour of Prince Suleiman Shikoh: wrote verse in Turkish, Arabic, Persian, but was most famous for his Urdu poems, which are elegant in style and conception. JURAT: of Delhi, celebrated for his skill in music, astronomy and poetry: became blind when still young: was pensioned by the Nawab Muhabbat Khan and afterwards by Suleiman Shikoh: author of an enormous volume of Urdu poetry composed of ghazals and of love-poems in the modern taste. Wrote satires on the rain, the cold, smallpox, etc. Versed in Hindu as well as Muslim poetry. MAZHAR: of Delhi: family originally from Bokhara: learned in jurisprudence as well as poetry: many favourite poets were his pupils: was a Sunni, made profession of spiritual poverty, and was even reputed to be able to work miracles: was killed by a fanatic because he disagreed with the Shiah mourning for the death of Hussein: died in 1780, aged nearly a hundred years. MIR DARD: author of a famous Urdu diwan: skilled in the sacred music as sung at the assemblies of the Sufis: lived the life of a sage, the Padishah often coming to him for counsel, though he himself never sought the Emperor's Court. MIR SOZ: of Bokhari ancestry, had to leave his country in time of peril in the dress of a fakir: came to Lucknow, where he became tutor to the Nawab Asaf-ud-Daula. MIR TAQI: born at Agra, in his later days lived at Lucknow, under the protection of the Nawab of Oudh: wrote many kinds of verse, but excelled in the ghazal and the masnawi, and was the author of a biography of poets: wrote his own autobiography in Persian, and also Persian poetry. MOMIN: of Delhi: author of six long masnawis: skilled in medicine, astronomy and astrology, and deeply read in poetry: at first lived a gay and reckless life, in his old age gave himself to prayer and fasting, and acquired great contemporary fame: his work is considered to be the most delicate flower of Urdu expression. MUSHAFI: belonged to a distinguished family of Amroha: lived at first at Lucknow, then went to Delhi: there he held famous literary reunions, at which gathered many poets of whom he was the inspirer and teacher. MUZTAR: born and educated at Lucknow: his ancestors occupied an honourable rank at Delhi: was a pupil of Mushafi. NASIKH: of Calcutta: belonged to the latter half of the 19th century: Deputy Magistrate and Member of the Legislative Council of Bengal. SAUDA: born at Delhi about 1720: a soldier by profession: much esteemed in his lifetime, and was a favourite at Court: excelled in all kinds of poetry, chiefly the ghazal, the qasidah, and satire. TABAN: of Delhi: as famous for his beauty as for his poetic talent: pupil of Hatim, and was a friend of Mazhar and Sauda: was descended from the Prophet on both father's and mother's side. WALI: of the Deccan, the first to write an Urdu Diwan: is considered the Father of Urdu poetry: born at Aurungabad, wrote in the latter half of the 17th century. He held a just balance between Sunnis and Shiahs, and did not flatter any Ruler in his verses. He knew the literature and art of Europe and wrote many mystical and spiritual poems. YAKRANG: one of the officers of the Emperor Muhammad Shah (r. 1719-48): lived in dignity and honour at Delhi. ZAHIR: a well-known modern poet, lived at Rampur at the Court of Nawab Kalbe Ali Khan, afterwards at the Court of the Nawab of Tonk, and finally at Hyderabad, in the literary circle of the Nizam, by whom he was much appreciated and rewarded. ZAUQ: a celebrated poet at the Court of Bahadur Shah (r. 1837-57): was his teacher in the arts of verse: compiler of an anthology Of poems: is said to have written one hundred thousand verses: is still highly popular and much quoted. 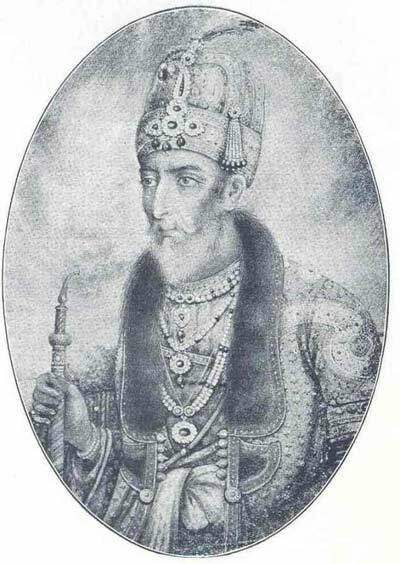 ZAFAR: or Bahadur Shah, was the Padishah of Delhi, the last Mogul Emperor, and lived 1768-1862: son of Akbar II. : was over 60 years of age when he came to the throne: himself a poet and a good judge of music and painting, he gathered round him literary men and artists: of fine countenance and distinguished manners, and extremely loved and admired by his subjects: skilled in all kinds of poetry, and some of his ghazals continue to be popular: author of a voluminous Diwan, and a Commentary on the Gulistan of Saadi: a clever caligraphist, wrote with his own hand passages from the Koran for the ornamentation of the principal Mosque of Delhi. His son Dara was also a poet. At the Mutiny in 1857 he was taken prisoner and sent to Rangoon: there he continued to write verses, and died at an advanced age. His portrait, which forms the frontispiece to this book, is from a miniature kindly lent by the Indian Section of the Victoria and Albert Museum, South Kensington. Look on my face how pale! Will naught my love avail? Thou wert warmed by my breath. The heart within my breast. That I might suffer more. May greet her steps again. Pierce me and strike me dead. She did not know—nor care. To that true Life which is unmanifest. Are fortresses of robbers, lairs of thieves. An empty foolish pride that lingers yet. Or is it the dread gate and house of Death? The Holy Prophet summons me. With this new gladness in my heart. The journey through the desert sands. The cold and heavy sweats of death. The Prophet of Arabia call. This palace of my soul is utterly Thine. The shame be yours, O eyes that are so blind. The image of my heart reflected is. Fall like a curtain 'twixt thy soul and Him. He finds himself in the Eternal Light. Shall He yield up thy ravished heart again. I am the lover whom Thou dost prefer! And I Thy very humblest worshipper. Would we were sinners thus to know Thy love! Among the sinners I have dwelt for long. No store of good nor evil deeds I own. A turning on the other side to sleep. Escaping from this labyrinth of care. And at the morrow's summoning I go. What are these bonds that try to shackle me? That floats untamed, untaken, on the wind. I lay my song as tribute on your grave. For what disease is love the remedy? Is humble, and would even crave disdain. And me to ruin and disaster brought! My utterly broken heart shall be made whole. Nor can I leave my heart that clings to her. O Asif, am I not Love's minister! Who has such courage in Love's ways to dare! What heart like mine such bitterness can bear! Drawn by the lovelier lustre of Thy face. Beguiled by visions, wandering in dreams! Sometimes to worship at the Idols' Shrine. As most courageous of the sons thereof. Calling the love which is my pride, my shame! The names of all who have been friends to me. I stumbled once; I can return no more. In flames of love from either side is blown. A further journey is awaiting thee. How can you comprehend such faithfulness? To any other what have I to give? What answer will you grant that I may live? God's Beatific Vision shall be mine. And thus I walk the ways of Earth apart. Where is another sinner such as I? There shall be no return. And kills me with its pain. How can I traffic in Love's busy mart? I scoff at such a friend. Why shouldst thou keep from tyranny anew? Why shouldst thou not betray another one? What thou wast born to do. Is Dagh. O Fair Ones, look upon his shame! It reaches to my lips, and then it dies. And thus for thee God's pity must implore. On me for this infirmity of love. —I know thee not—I have not heard thy name! I have erased the record utterly. To carry with me my desire for thee. —It is thy kismet, what would'st thou have more? Saying—It is her custom and must be! And all I should have kept in mind my heart remembered not. What cruelty and scorn I in your bitter letters knew! No love was there; O Gracious One, have you forgotten too? Two steps were straight and clear, and four forgotten were instead. You have forgot, O Keeper of the Record, many a thing. What thing you have remembered, and what thing you have forgot? That man can gain, for all the joys of earth has he forgot. And one forgot the Kaaba, one the Temple of his God. And do not tell my name, O Messenger. The peace and solace I have never had. Lest you should drown the world in seas of grief. How can a bird escape, deprived of wings? How difficult to play the part of man. The frozen rain of desolation falls. To bitter disappointment and regret? Desires to be the frame enclosing her. That flashes like the scimitar of Ede. How quick her unavailing sorrow was! I shall be dead and turned to senseless dust. To touch thine icy heart to tenderness! To win the beauty of thy curling tress? Changing, became itself the remedy. Behold how great is my humility! I hunger for the pain that then I bore. If not to kiss the ground before her feet? And what did I gain? Where she walks in her youth. For whom I would die. Of fleeting life shall last! Yea, lonely in the household of my birth. Even as mine eyes are wearied of their tears. How can I tell how I have passed them all? Well, I have borne them all! But ah—I have no voice to answer thee. Do they not burn thy lips, O Heart's Desire? Yet—See my faithfulness!—I hear you say. My flame-like tongue endures to sing thy praise. My secret grief can never find a tongue. Lying forgotten in the road. Where are repose and patience gone? Where is my honour, held so fair? In the black chambers of Despair! Who sits within the secret place? She wears the veil upon her face. Can bear thy cruel tyranny? That thus thou mayst remember me! What kind of comforter art thou to me? What help and solace in calamity? But thou hast touched to make it sting and smart! When is the hour when thou wilt come again? —When wilt thou come—or wilt thou come indeed? Although the feast is spread its lip is dry. The world my secret that you know too well. The arch that curves o'er the Belovéd's eyes. The weary story of my sorrowful love? This is the record of the pain thereof. But when it pleads with me I do not care. —What mean thy love and faithfulness to me? How foolish I to seek a world like this. With all the lingering sorrow I have borne. To choose a heart so desolate as mine? And find that peace and loneliness are best. And some for her have drunk the cup of Death. Within the city of Eternal Peace. A single curl of the Belovéd's hair. Why should I let her double my distress? Hearken, O Momin, all thy life is done! How canst thou call thyself a Muslim now? Art thou shy of a mirror, Belovéd? Held many a secret yearning unfulfilled? And what to thee is Suleiman's high throne? Where has my childhood gone, where are its placid years? For cruel youth hath brought passion and bitter tears. Beauty, the thing he made, brings with it only pain. But ere she came to me, Fate sent the sleep of Death. Now Love hath taken me, bound me to be his slave. Nor lift the needless veil woven of shame and pride. Pierced to the very heart! And need no lamp to guide my steps aright. The night of separation from my Love. How can I to the fisher speak my thought? In joy, but now am mute, remembering. Whence came I, whither go I, what am I. Killed by her beauty, martyred by her word. Toil on a journey that shall never cease. What shouldst thou reck of me and all my pain? For what is done is done. They said to her—Behold him, he is dead! How did he lose his life, unhappy one? And what is done is done. And—what is done is done. Reflecting thee, bright as a sun shall shine. To lure him with her cruel loveliness. Holding dominion in the hearts of men. When thou considerest thy tyranny? Between thy heart and mine at Judgment Day. Water to be a comrade of the Fire. And losing Her I am deprived of all. And may escape from out thy cruel hands. Simple and led by thee! They have no worth to me. To tend her perfumed hair! To be the Tavern light! Was it a thought that held me—or a dream? Now she is here, what is there left to tell? I leant on vain impossibilities. A sorcery that fell upon my heart. Are ties of self wherewith my soul is bound. And need no other friend. She laughed, and fled, and passed! But useless was my love. She went away, away, she went away. I cannot pierce the screen. In all this changing Universe abides! That is not possible, this is not possible. The longing to attain the Heavenly Sight? Was manifested the Eternal Light? The self that but its mortal self hath known. Before this era of mortality. Whence was the spirit that enkindled it? To tread the road that thou Thyself hadst made. Even greater is thy loveliness. I shall not steal nor sully it. And with it mounts his heart's desire. Is jealous of thy gracious ways. Thou must have robbed me after all. Was written in my blood. If not to search for thee eternally? If not to look for thee? To offer up my breath. To come to me—if thou wilt come—once more! Why therefore is my pain unremedied? To my unreasonable, doubting heart. I took thee for a friend, and did not know. She lightly laughed—And so is Mazhar dead? —I did not think him ill enough to die. Thou art a great calamity. What need was there for Him to make the Sun? It shall arise, in bud and bloom and leaf. Should turn to favour one so long unfortunate? Thou hast not in thy myriad cycles brought! Bring me at last what I so long have sought? The only constant friend I have is Pain. And she herself the only remedy. The shadowy kisses that I know in dreams. They find the secret beauties of her face. To buy these pearls—my tears. What road of ruin hast thou led us in! Beguiled yourselves, ye lured me into sin. Ghazal—ode: form of verse written in couplets, all in one rhyme. Hind, Hindustan—Upper India, north of the Vindhya Hills. Islam—The religion of Muslims: lit. absolute surrender to Allah alone. Kaaba—central sanctuary of Islam, at Mecca, holy city of Islam. Kafir—unbeliever, one who is not a Muslim. Masnawi—epic poem, written in rhymed couplets. Mecca, Medina—sacred places of Islam, in Arabia: the birthplace and burial place of Muhammad. Muhammad—the Prophet of Islam (A.D. 570-632). Mushaira—poetical concourse (see Foreword p. 1.). Muslim—or Musulman; lit. one surrendered to Allah alone. Suleiman—Solomon, King of the Jews: in Muslim legend lord over angels and demons. WITH A SHORT SKETCH OF THE AUTHOR'S LIFE AND HIS PORTRAIT IN COLOURS. WITH THE PORTRAIT OF THE AUTHOR IN COLOURS. 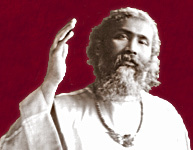 RENDERED FROM THE URDU, HINDI AND PERSIAN BY INAYAT KHAN AND JESSIE DUNCAN WESTBROOK. BY C. H. A. BJERREGAARD. BY INAYAT KHAN AND JESSIE DUNCAN WESTBROOK. ("VOICE OF INAYAT" SERIES), BY SHERIFA LUCY GOODENOUGH. DEVOTED TO MYSTICISM, RELIGION, PHILOSOPHY, LITERATURE AND MUSIC. 6d. net, 2/6 a year post free.